Let me know if I've forgot anything. Cheers! > **Posted by AdayDr1en** > Hello ! You said Fallout NV ? Say no more ! I've been looking for a good USAS 12 model to rig for NV, and I like this one. I'll be sure to link you it's mod page when I up it. :) Ah cool :D I was just thinking the other day I should try to get some of my stuff in NV (third playthrough, haha). Thanks for giving it a go! 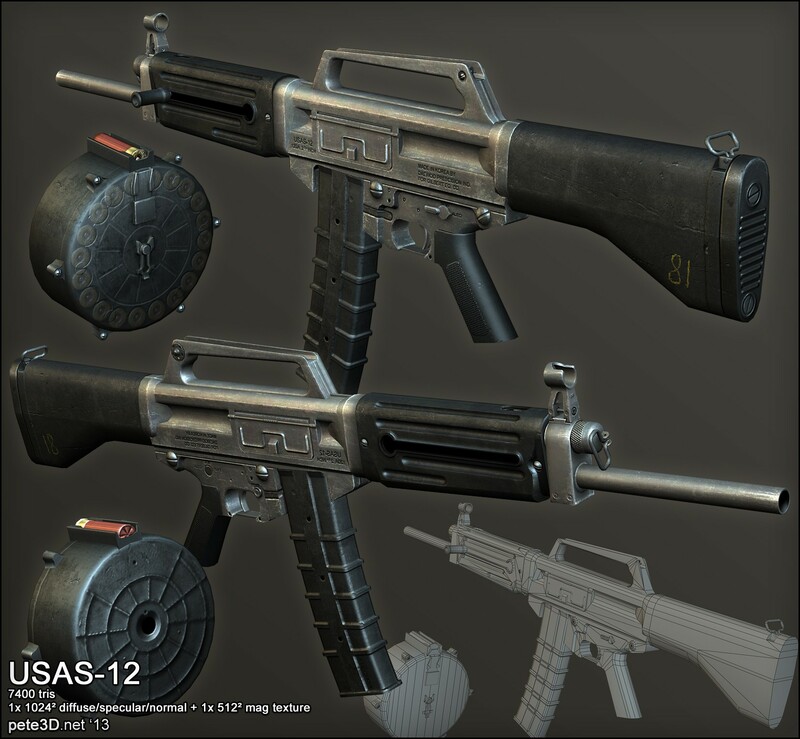 It's no AA-12, but this is such a nice model that I really don't care. Great model dude, awesome. but, there's two ejection ports, are those things like this really? I Will Compile This For CSO On Skull-11 Animations.